As a civil engineer Corey Schuster designed roads; but it was a winding road, and certainly not one of his design that landed him at a Willamette Valley tasting room and ultimately opened his eyes to the possibility and joys of making wine. 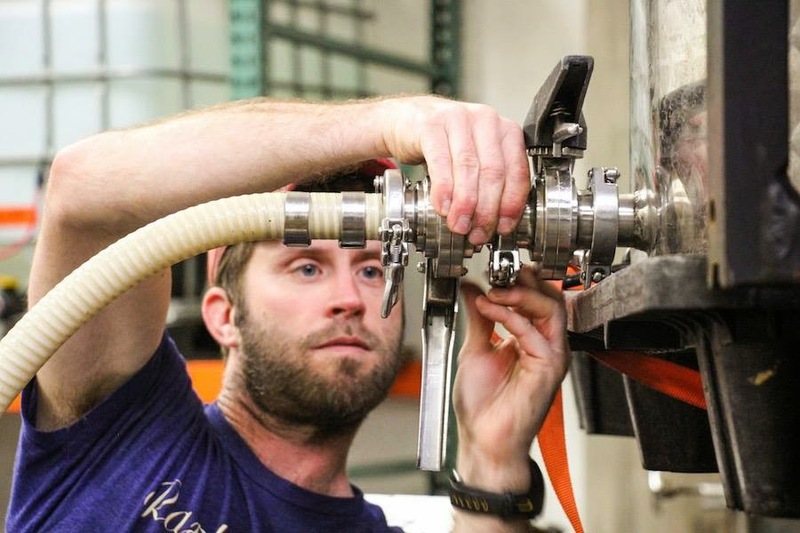 Corey was in the midst a successful career in civil engineering, growing up outside of Chicago it seemed like the right direction, and frankly he really didn't have much else in mind. From there he landed in Colorado and eventually in a bit of a rut, to hear him tell it. Corey retired early, in some sense and from there he traveled throughout Southeast Asia and eventually he'd come to find himself at an engineering firm in Portland. "We're all relatively new, and we are going through a lot of the same things, it's great to feel like you've got that in common, and it's nice to be a part of something like that. We're all having the same issue, like How am I going to pay for bottling? I don't know." 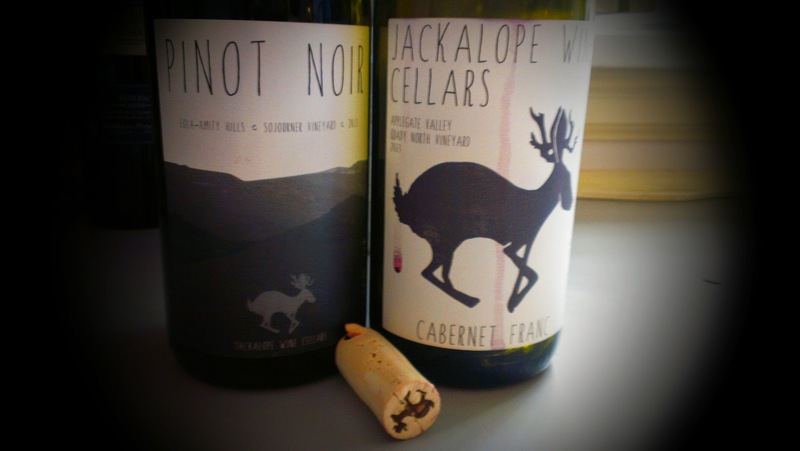 The first wines in 2012 were Cabernet Franc and Pinot Noir, and his second vintage, and current releases are the same varietals from some different sources. "I got into Cabernet Franc while working at Owen Roe, I talked with David O'Reilly about what fruit he might have available and he sold me some Pinot Noir from Eola-Amity and Cab Franc from Six Prong Vineyard in Washington's Horse Heaven Hills." Corey's first three vintages (through 2012, 13 and14) have been "warm" years but he's learned a little bit from all of them. "That first year I decided to make the jump late in the year, so I really didn't even have time to think about the vintage. While 2012s are not my preferred style I couldn't have done any better, the fruit was perfect, the wines made themselves and the wines sold really easily. In my first vintage it was important that I sold everything." "As an engineer I never had something I could hold in my hand and say, I made this. I've definitely had the scientific background but I've never tapped into my artistic side. I mean, as a civil engineer you're making roads. I chose this though, versus engineering which was more or less chosen for me." Corey's been getting great reception from the wines, and has found it's a great feeling when for example friends asked to have his wines at their wedding. The 2013s were a bit more challenging for Corey and while it was a warmer vintage compared to recent years like 2010 and 2011 the wines are lean and elegant. Both wines are absolutely outstanding and unique, Corey has found that artistic side, and it suits him. At the risk of using too much hyperbole his Cabernet Franc is the most interesting I've had from the Northwest. There are some stellar examples in both Washington, at Chinook and Oregon's Quady North. Corey walks between both styles with a definitive wildness but really, it's a sort of wild elegance. The parcels are tiny so normally I would recommend you go online and pick some up for yourself here but they're sold out. Call one of these places and tell them to hold it for you. Seriously. Thanks for the nice article, and the tasting notes as well. 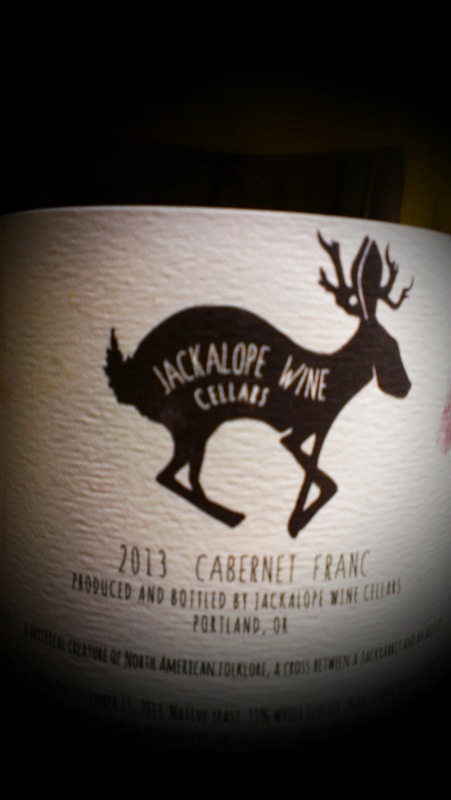 I think it will be fun to see what Jackalope does with Cab Franc in the future. It will be fun to see someone locally make a name with that grape.